Google Blogger lets me know which posts are read the most. 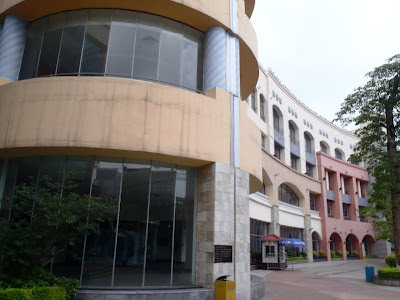 By far the most popular post has been “New South China Mall: World’s Largest Failed Mall”, having 12,503 pageviews so far. Readers seem fascinated by spectacular failures, and this post goes into detail about all the mistakes made in planning this empty 9 million square foot enclosed mall, self-described as being “anchored by a KFC” restaurant. Go, Colonel. In second place is “Costa Rican Teak Farms for Gringo Investors”. I thought the scams were already well understood, but the marketing of teak farms to foreigners seems to be on the increase and this post has been a surprise to many readers who were contemplating such an investment. I hope that I helped them to make better informed decisions. In third place is my post on Macau. Americans do not realize how far ahead of Las Vegas Macau is in the amount of gaming revenues, 4 times as high at the time of the post. High-rolling Chinese gamblers, some who are laundering ill-gotten gains, are the life blood of Macau’s gaming industry. In 4th place is my “World Gaming Revenue Comparison” I wrote as a sequel to the piece on Macau, once I found that this was a heavily searched topic on Google. Particularly interesting is the rapid emergence of Singapore on the world gaming scene, closing in fast on Las Vegas in terms of gaming revenues. In 5th place is my post on the Perennial China Retail Trust, an IPO that went public on the Singapore Exchange in the spring of 2011. My position on this REIT was that it relied on questionable “independent valuations” and feasibility studies in its IPO and misled readers and analysts. Initially priced at $1 SGD per share, it went public at 70 cents per share and has declined to 47.5 cents per share as of June 21, 2012, a 52.5% discount from its original valuation. Meanwhile, their first completed mall was last reported a few months ago as having lost 40% of occupied area as tenants fail.